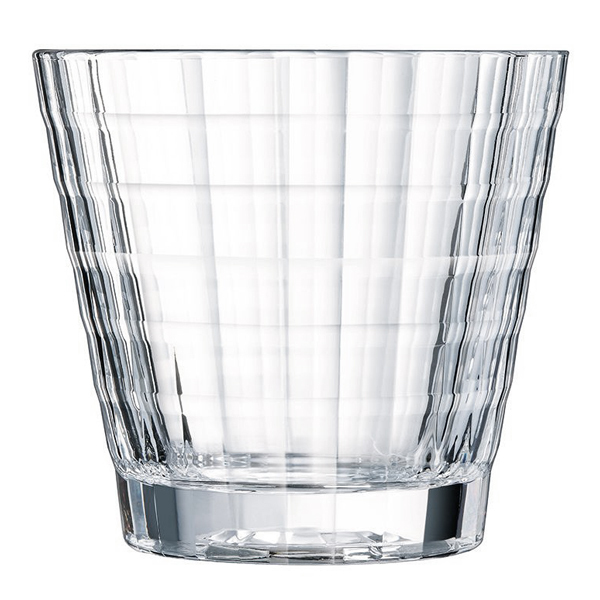 The Cristal D'Arques Iroko Old Fashioned Tumblers bring a taste of the Art Deco era to your drinks service. With Crystal Glass and exceptional quality, these whiskey tumblers are ideal for serving the finest of spirits. Built with a long lasting usage, these crystal tumblers feature a faceted styled finish.